GET YOURSELF A LIFETIME INVESTMENT! 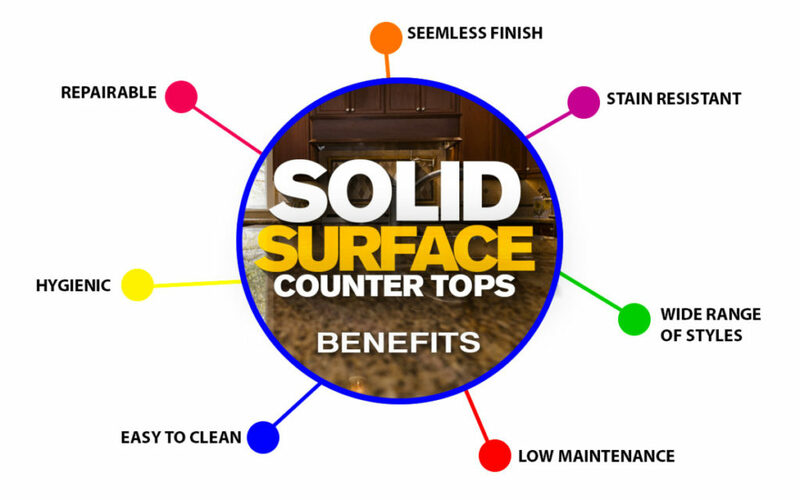 Solid Surface Counter-tops are a quality manufactured material composed of mineral dust (mostly marble) along with a variety of plastic resins and pigments. This tough, hardworking counter-top is non-porous and has a seamless finish. Visible scratches can be also patched and sanded out for a promising smooth finish at all times. Therefore you are guaranteed to have a lifetime investment with solid surface. Warm soapy water & a non-abrasive cloth to clean. 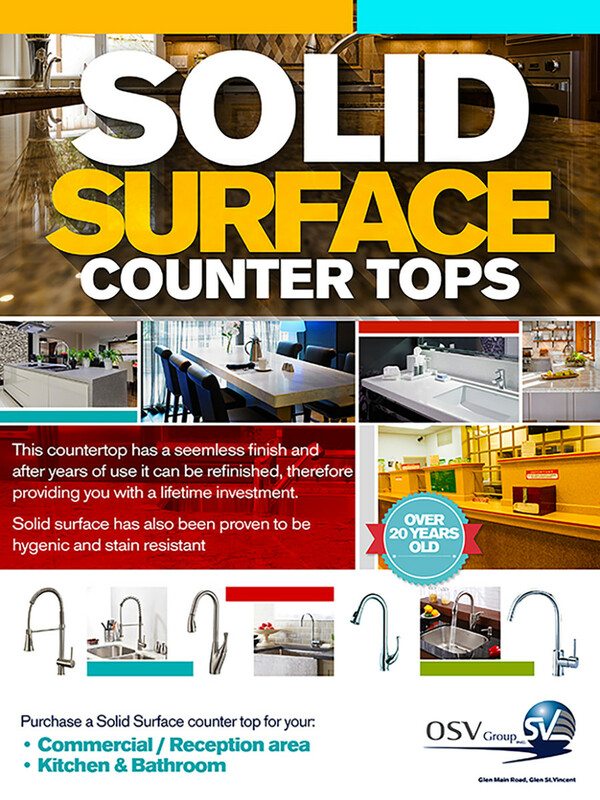 These Counter-tops are great for both Residential & Commercial areas. Book your FREE site visit today!